Don't let the cost of a new paint job or touch-up scare you away from getting what you want! 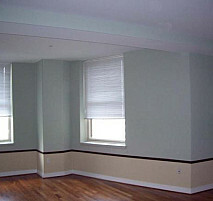 At Symmetry Painting we make it easy for you and work to accommodate any budget. We have over 30 years of experience providing our customers with top quality custom interior work and know that we can help you achieve the look that you desire. We're just waiting to hear from you. Call us today and let us know how we can help you. Work Description: We (Simon Gratz Mastery Charter) hired Symmetry to paint multiple areas of our 5th Floor which is a space designed for all Art and Music Programming. This included walls AND ceilings in 3 classrooms and main hallway. Comments: I cannot say enough about how professional, polite and responsive Darrel and the entire crew were throughout this process. I HIGHLY recommend Symmetry - there is no better choice. Comments: Darrell is, by-far, the BEST painter I've contracted yet! The bar is never high enough for him and the level of service he offers to myself and the residents here is simply incomparable! HIGHLY recommended. If you choose this company, you will not regret your decision! Comments: Darrel and his team of professionals (Joy, Denver and Lamar) were excellent. Top notch professionals in every sense of the word. A quality job at a fair price. I would recommend them to anyone in need of quality painting services. Work Description: Interior painting for the whole house at one location and several rooms at two different locations. Exterior painting at one location. for the job and freedom of color selections by customers. Also willing to make job easy for customer regarding furnitures in the house before and after painting that is very important for customers and you can trust them with your house with their integrity. Thank you for their good work. Will continue using them and highly recommend the company. Comments: Darrel and his crew (7-8 painters) painted the ceilings, walls, trim, and some doors in our first floor plus foyer in 2 days! 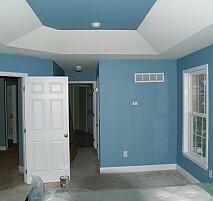 Walls and ceilings were painted with 2 coats. The crew showed up early each morning and got right to work. Some of the crew were novice and Darrel always took time to stop everyone to demonstrate either a proper technique or a safety feature. All switch plates and lighting canopies were removed to obtain flawless coating. Minor nail holes or dents were filled before sanding although anything major would be best spackled and sanded beforehand. The crew cleaned up at the end of each day such no ladders or buckets were in the way. I really appreciated the walk-through toward the end of the job (I did find some stretches of trim that were missed). 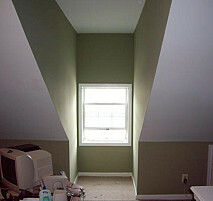 Symmetry Painting did an exceptional job of painting and I would definitely hire them to return for the second floor! Well done, Darrel and Crew. Comments: Arrived early and went straight to work every day on the job. Always thoroughly cleaned at the end of each day so there wasn't debris left around. Professional and respectful of our property and that of our neighbors which was greatly appreciated and made the experience a good one all around. Helped with finalizing color selection and couldn't be happier with the outcome. Coming home to freshly painted exterior makes me smile. Comments: I am a neighbor. I watched this company perform a miracle in turning a house into a home. Most important to me, they respected my property and were willing to work with me (they needed access from my property to do their work). They were kind, well mannered, and very, very careful. They kept my property clean and there were no problems at all. I would recommend this company for their good work and total respect. Work Description: Painted our whole house inside, along with 6 Stairwells, all walls, trim and doors. Comments: Darrel and his team were great. They worked around our schedule and gave a good price for such a big job. The work was excellent. The work ethic of Darrel and his team is hard to come by these days and made for a good experience. You won't be disappointed if you go with Symmetry Painting! Comments: Darrel did an excellent job on my kitchen! He was very responsive to my initial inquiry and was able to schedule with me quickly. He was very punctual and professional throughout my experience with him. My kitchen came out great and couldn't be happier that I called. I would highly recommend him to anyone! Comments: Darrel and his team of painters did an Excellent job. They showed up on time and worked diligently to get the work done on time with quality. I highly recommend Darrel and his team. Darrel, the owner has a solid work ethic and the employees all are professional and enjoy their work. 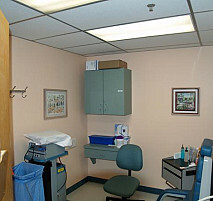 Work was of outstanding quality and care and attention for detail. Great value and have recommended Symmetry to 3 people already. Comments: I realized my mistake and would like to correct it. This company did such an EXCELLENT job! Overall! Quality! Price & Punctuality! All Excellent reviews! Highly recommended! I will use them again for any painting job I will need! Comments: Darrel, Joy, Lamar and Monare! Wow! What a crew! Very Professional and easy to work with in my home! I really felt like these were member of the family and was welcome in my home! The paint job was fabulous! They took their time with everything and made sure each room was done correctly. I am well please with the job! Highly recommended for future jobs! Darrel and his crew is the best! Work Description: Painted Master Bedroom, Kitchen Cabinets, Loft Storage Room and Closets. Finished walls in Loft Storage Room prior to painting. Comments: Darrel was very professional throughout the entire job. He was also very helpful with my decision on the best choices of paint color. The framing in the Loft Storage Room made his job of finishing that area a challenge, but he was able to complete the job flawlessly. Painting the kitchen cabinets gave me a whole new look for much less cost. I will definitely be calling Darrel for future needs. Comments: Punctuality and professionalism are the driving force behind this company When the owner makes the customer feel as if a small job is as important as a big job.the foundation for a successful project is on solid ground.All of my future painting projects will be handled by Symmetry Painting. My husband's comments are on point I'd add that Darrel 's expertise makes a difficult job seem simplistic. 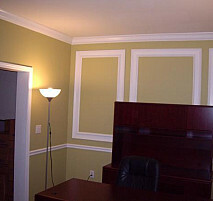 Work Description: Whole house interior wall paint and trim. A very big job. Comments: Darrel was very easy to work with. He started the job on time and finished on time. Given the size of the job I would rate the work as excellent. 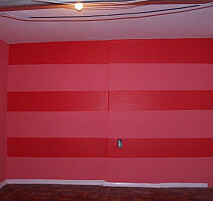 We had multiple colors for different rooms with separating lines at interfaces etc. I would recommend Darrel highly. 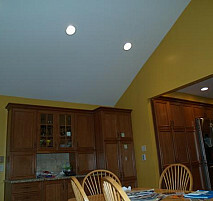 Work Description: Paint walls, ceiling and trim of kitchen. Paint walls and trim of living room with new color. Comments: I had difficulty finding a reliable painter who could keep appointments, do a quality job, and at an appropriate price. Darrell and his staff exceeded all three standards. In addition, they insured complete satisfaction. They were early to get started and thorough on their prep of the surfaces and completed the work as expected. I was changing colors of my living room somewhat dramatically and Darrell was a great help in color selection as well as providing advice on adding depth by contrasting colors for recesses shelving. He insured that the job was done correctly and even took the extra effort to remedy a miscommunication on my part of a missed surface that needed painting. I am totally satisfied and would use these folks again and recommend to anyone who wanted a profressionaly done job at the right price. Comments: Repeat customer; Darrel and crew did a few jobs at our previous residence and when we relocated we knew we would use them for our new home, which needed paint throughout the whole home. Excellent in every way. 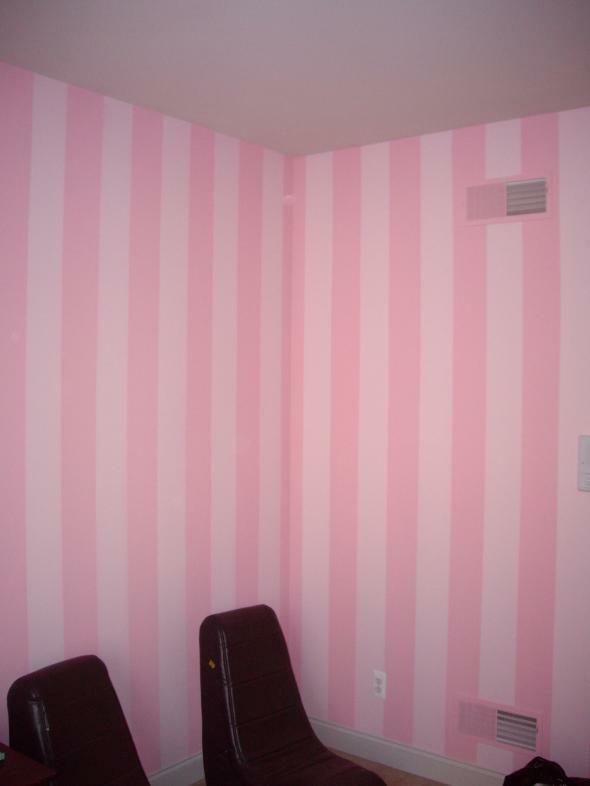 The painters are detailed oriented and perfectionists in every way. Comments: I have never before hired someone without a personal recommendation. However, I knew of no painters in my area so relied on the online reviews. The reviews for Darrell's team seemed stellar so I took a leap of faith and am so glad I did. 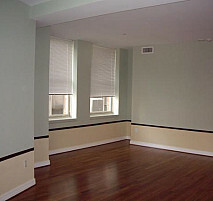 He and his team were punctual, pleasant, professional and accomplished painters. We were very satisfied with their work and would highly recommend them to others. 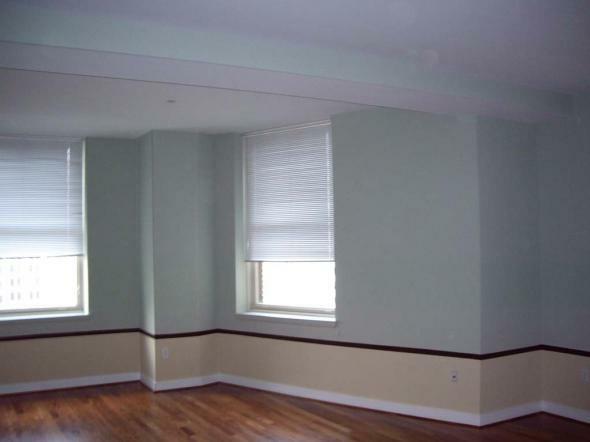 Work Description: Interior walls and ceilings and stairs including tons of trim and moulding. Great job! Comments: I am very happy and satisfied with the service and I will certainly refer Symmetry Painting to family and friends in need of a professional painting company. Work Description: Remove popcorn ceiling, paint ceiling, family room, foyer, second floor hall, and stairway spindles. Comments: Darrell and his crew did a great job for us in a very short time. We had them remove a 2-story popcorn ceiling and he did such a nice job it doesn’t appear to have ever existed. The amount of painting they did in such a short period of time was amazing, and quality was not sacrificed. Would highly recommend their services. Work Description: Walls, ceilings, staircase, doors and woodwork of finished basement. Comments: We feel we hit the jackpot when we met Darell. He and his staff came in and finished the entire project in one day! Amazing work, amazing people! 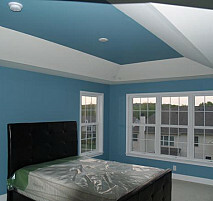 We would not consider another contractor for our painting needs. Would we recommend Symmetry Painting? ABSOLUTELY. 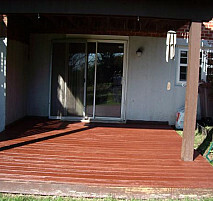 We have already agreed to our next project: the deck. Work Description: I needed to have a bedroom walls, ceiling and all the trim done fast. Comments: Darrel Smith painted our great room from chair rail and up, including the ceiling. He made the straightest lines at the chair rail that I have ever seen, especially without painters' tape! Best price we received from 3 painters, very punctual, timely with his work, and came fully prepared to complete the project in one trip. Work Description: Painted the entire upstairs hallway, down the steps, bannister, into the livingroom and finished with the dinning room. Comments: Mr. Smith was on time, neat, precise and professional. Will call him back when I am able to decide what to paint next. 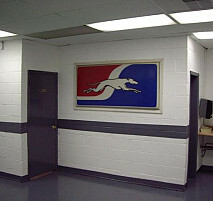 Comments: Our company needed one of our departments painted in a short period of time and at a reasonable price. On behalf of Symmetry Painting Darrel Smith presented to our office in the most professional manner. With IPAD in hand, Mr. Smith wowed us with pictures of previous jobs that his company has performed. Not only did Symmetry Painting offer the most reasonable price but their work was FANTASTIC!!! 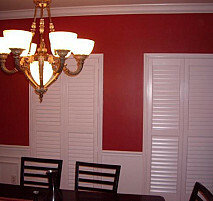 We HIGHLY recommend Symmetry painting for any and all of your painting. Comments: Darryl Smith and Symmetry painters are a Godsend! They carry their warmth and professionalism right onto your walls. Just pick the colors you truly love, sit back, and enjoy in amazement. Symmetry Painting is not a job, it's an experience, and I recommend it highly. Comments: From the moment my family met Darrel, he was very friendly and professional. We were immediately impressed by his organization and willingness to work with our budget and time constraints (he and his crew worked through one weekend to complete the entire 3000 sq. ft house - amazing). Over the course of the weekend, he made us feel very comfortable and went above and beyond what the job was to initially include. Darrel makes you really feel like you're working with family and we would definitely recommend him to anyone who wants not only a very professional paint job but one done with care, kindness, and at a great price (we did our research with 4 other companies and he was the one with the best reviews). Our real estate agent also found the paint job very impressive by Darrel and his crew and plans to use him as a reference for future clients. Thank you Darrel and your crew for your great work. Work Description: Darrel painted a bedroom and a closet. Primer and color. Comments: Darrel painted the room in about three hours. He was quick and clean. Very nice guy. We would absolutely recommend him to friends and family. Very professional! Work Description: Painted living room, bedroom, touched up kitchen and a bedroom, and stained deck. Comments: Quality of work was excellent; most professional service we used in a very long time. These guys were punctual, efficient, friendly, and extremely meticulous. I would highly recommend their service to others. Comments: Darryl, Isiah and Chuck were extremely professional, punctual and a pleasure to work with. They did a fabulous job and were very efficient. All work was done in four days. They left each room neat and clean. I have recommended them to everyone I know. You will have no regrets in hiring them. Comments: great job...very friendly, will definitely keep number in my phonebook for another home project!!! Work Description: The painters came on time (early actually) and finished our entire house of 8 rooms within 14 hours (one day). They were extremely professional and very good at their jobs. They didn't seem to take any breaks and worked through the day to ensure the work was done. It was very high quality. The rooms looks great and I can't find a mistake even if I go look for one. Comments: I strongly recommend symmetry painting to anyone looking to get their house painted. They are fast, reliable, and extremely good! Work Description: Painted living room, dining room, family room, kitchen, laundry room, and bathroom. Comments: I was very happy with the quality and timeliness of the work. I couldn't believe that they did all of these rooms in one day, but they did a very good job. They were very professional and worked hard. I also appreciated their advice about what colors to choose. This is a family run business and it shows. All in all, I am very happy with the work and the very reasonable cost for it. 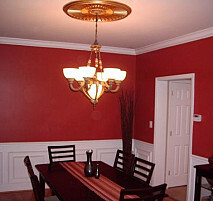 Work Description: Darrel and his crew painted our living room, dining room, foyer,stairwell and upstairs hallway. This also included removing 2 walls of paper. Comments: Darrel Smith and his crew were the best! The work they did was excellent! They were very professional and meticulous. We couldn't have picked a more reliable not to mention reasonable contractor! Thank you so much! 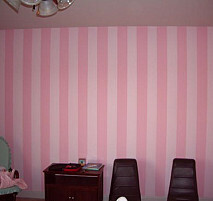 Work Description: wall paper removal and painting of the living room, dining room and bathroom. Comments: Darrell and his team were true professionals they did a wonderful job with the wall paper removal which in itself was a huge task being that the ceiling was also wall papered! We would definitely recommend them to friends and family and will not call anybody else for all our painting needs. 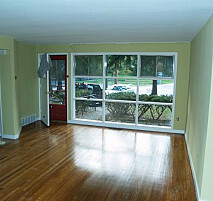 Work Description: Painted by living room,dining room,upstairs hall,doors and woodworks. Comments: Mr. Smith was punctual and very professional.I would recommend him to family and friends. Everything about the job was excellent. 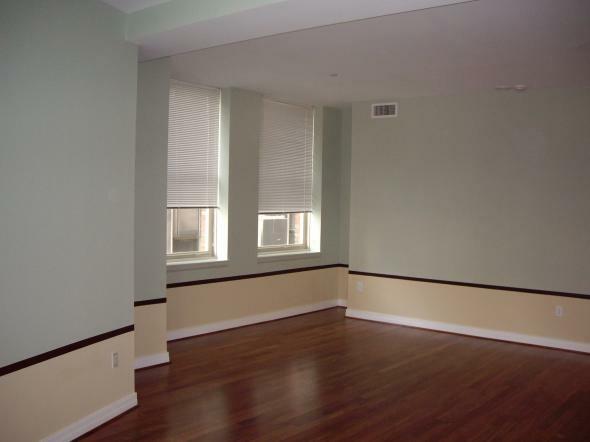 Work Description: Sand and paint over stencils in 2 bedrooms and the dining room. Also painted the ceiling in the dining room. Comments: I had recently put my house on the market and needed to get some painting done in a hurry. After getting 2 quotes from contractors and checking out websites and reviews, I contracted with Symmetry Painters, (who incidently had the lowest cost) to do the job. Darryl agreed to paint on a holiday at no extra charge. Darryl and his crew arrived ahead of the 8:00 AM time slot on Labor Day. They immediately set up and moved all the furniture. After completing the job, they continued to clean up and move the furniture back into it's original place. These men were very courteous and pleasant at all times. This was the most satisifying experience I had with any contractors. I would highly recommend this company to anyone who needs professional painting done at a reasonable cost. Thank you Darryl and crew. Comments: Darel was excellent, he arrived very early ahead of time actually, which was okay, because I was excited to get it done, he didn't disappoint, he arrived early and stayed late. he was very professional and his prices are very reasonable, In fact I'm going to have him do my entire house real soon. Work Description: Removed popcorn ceilings in 3 rooms, spackled &amp; repainted the ceilings. Comments: We got the fastest and best quote from Symmetry Painting. I just heard back from Town and Country but did not choose them. I never heard from the other two companies. 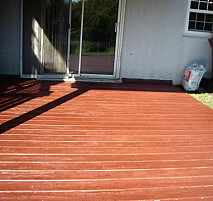 I am very impressed with your network (paintingnetworx) and have told my family and friends about your site already. I am extremely happy with Symmetry Painting. Darrell and his crew worked over 10 hrs with no breaks and left my home clean and in great condition. I highly recommend them to anyone. Thanks again for your service. Comments: Darrel is reliable, dependable and did an excellent job. His price was very reasonable. Work Description: Removed popcorn ceilings in 3 rooms, spackled & repainted the ceilings. It was truly my pleasure to paint for you Ms. Robinson; you were very sweet and accommodating. I hope your home sells fast; it is a very beautiful home. 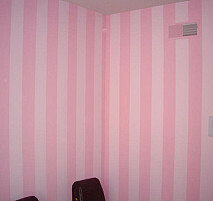 Work Description: Sand stencils and paint 2 bedrooms, sand stencil in dining room and paint upper half and ceiling. Comments: I had put my home on the market and needed painting done in a hurry. I had quotes submitted and Symmetry Painting had the lowest price. I contacted Darryl and he agreed to paint on a holiday at no extra charge arrived early at 7: 30 AM on Labor Day. Along with his crew he set up and moved all furniture. They labored continously without a break until the work was completed. They then set up the furniture back into it's original place. This crew was extremely courteous and polite. I would highly recommend Symmetry Painting to anyone who needs professional work done at a reasonable price. Thank you for allowing me to come into your home and provide you with my best service. I enjoyed talking with you very much, and I wish you and your husband the best. 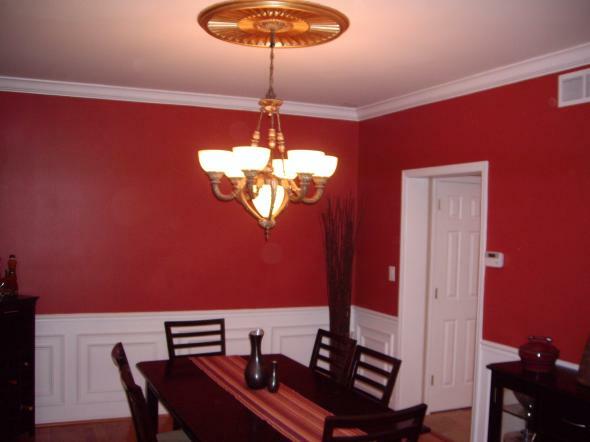 Work Description: My Living Room, dining room, stairwell and upper level hallway was painted. Comments: Darrell and his crew were phenominal! First, they arrived ahead of the scheduled start time of 8 AM over the course of the three (3) day job. Secondly, they seem never to take a break which was unbelievable. Third, Darrell's attention to detail was/is off-the-chart...he sees things that only a highly skilled, seasoned professional would see and addresses any deficits and/or defects in a likely manner! Even a couple of my neighbors commented on Symmetry's professionalism just from merely observing from afar...I just smiled. I am going to do everything in my power to recommend Darrell to all of my personal & business contacts! Symmetry has a customer FOR LIFE! 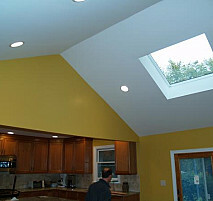 Thanks again Darrell for the magnificient job you did in my home! Brain you are phenomenal, I appreciated working for a very positive man. I wish you the best. Work Description: evaluation and quote was completed timely. Work Description: Darrel did a phenomonal job painting my dining room. Not only is his work superb but he is a wonderful person to deal with. I would highly recommend him above all. Comments: Darrel painted the room in about three hours. He was quick and clean. Very nice guy. We would absolutly reccomend him to friends and family. Very professional! Thank you very much for the opportunity to provide my services to you. You're very pleasant clients, and have a very beautiful home. It was truly my pleasure to work for you. Have a wonder summer. Thank you very much for the opportunity to provide my services to you. You're very pleasant clients, and have a very beautiful home. It was truly my pleasure to work for you. I hope you have alot of barbeques on your deck over looking that beautiful pool. Work Description: Darrel painted the guest room/closet/windows/doors--and before the actual work, he spackled the wall. Comments: Obviously, Darrel is very adept at this work. The room looks beautiful. Great job! .Thank you, for letting me give you the best service I can provide. I look forward to continue doing more work for you. Work Description: 4 painters were contacted for me but I only heard from two of them. I never used your painters afterall. Comments: I thought that I would get local painters. Two came out, one gave a great price and I was going to go with him, but my brother offered for less. The second guy came out and I never heard form him again. Work Description: Painted the guest bedroom, closet, windows, ceiling, doors,etc. Comments: Darrel did an excellent job! High level of professionalism all around! He is reliable, punctual, polite, friendly not to mention very adept at his work. We are very pleased and will have him back for sure! Thank you very much for the opportunity to provide my services to you. You are a very pleasant client, and have a beautiful home. It was my pleasure to work for you. Comments: Darrel Smith and his crew were the best! The work they did was excellent! They were very professional and meticulous. We couldn't have picked a more reliable not to mebtion reasonable contractor! Thank you so much! Thank you very much for the opportunity to provide my services to you. You are very pleasant clients, and have a beautiful home. It was my pleasure to work for you. Thank you very much for the opportunity to provide my services to you. You are a very pleasant client, beautiful home, a pleasure to work for. Thank you very much for the opportunity to provide our services to you. You and your wife were very pleasant clients and, have a beautiful home. It was our pleasure to work for you. Very pleasant client, beautiful home, a pleasure to work for.